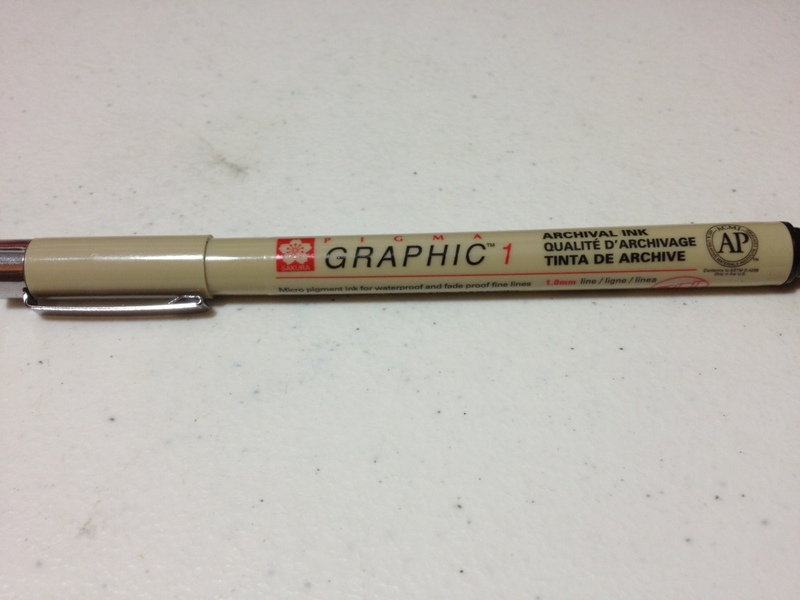 Okay, so you want to ink a drawing, or maybe just sketch with a nice bold line, but you don’t have a technical pen. Either you can’t afford them or they aren’t available in the shops you have. 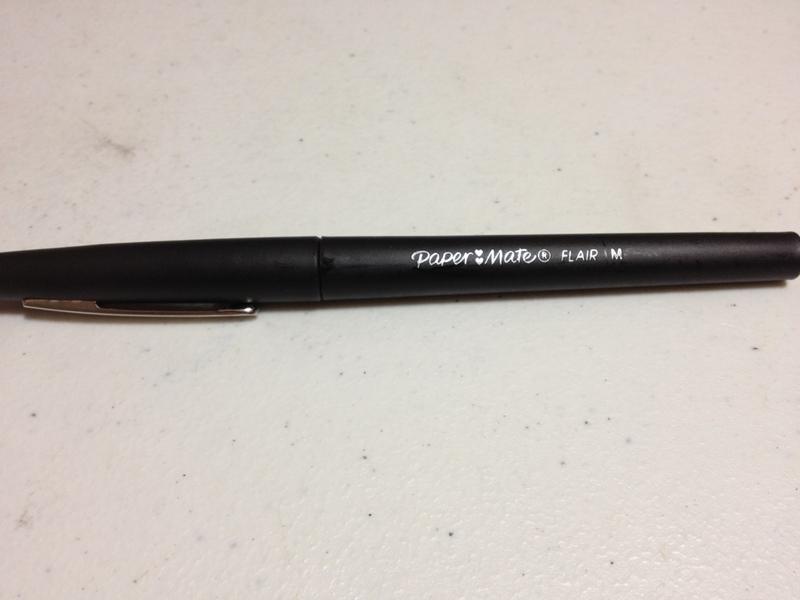 Well, maybe you could try the Papermate Flair. The one I’ll be reviewing is the black, medium version. 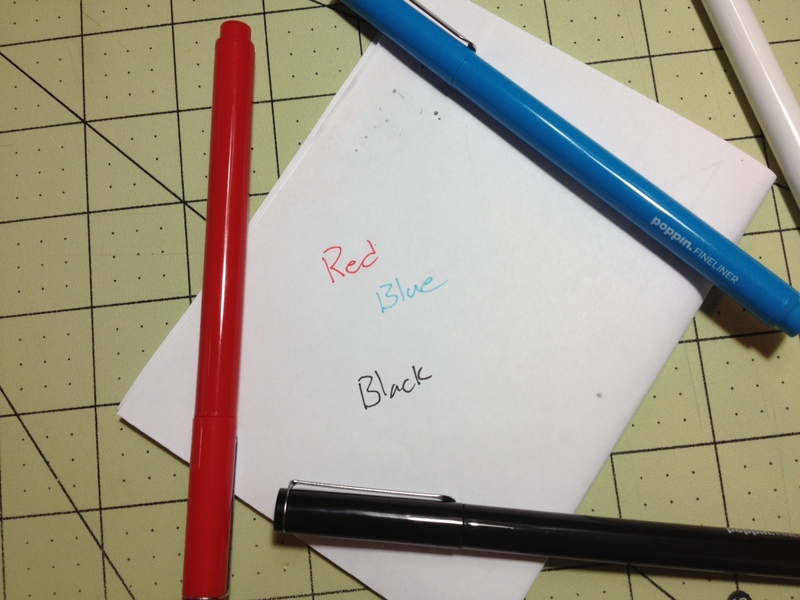 The body of the pen is a simple matte black. Sometimes this wears off and reveals a smooth body underneath. 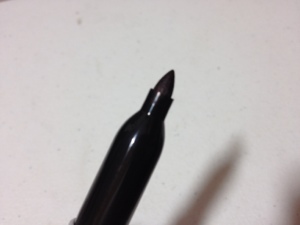 The ends are tapered, with a bulge in the middle. 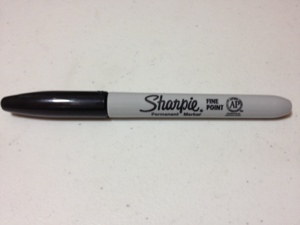 The name and size of the pen are printed in fairly high quality on the side. The clip is metal, works fine, but a bit tight, and has two hearts as decoration. On the top of the cap there’s a white breather hole. Removing the cap reveals a slick, tapered grip section. Despite this it is pleasant to hold because it flares out at the end, giving your fingers a place to rest. 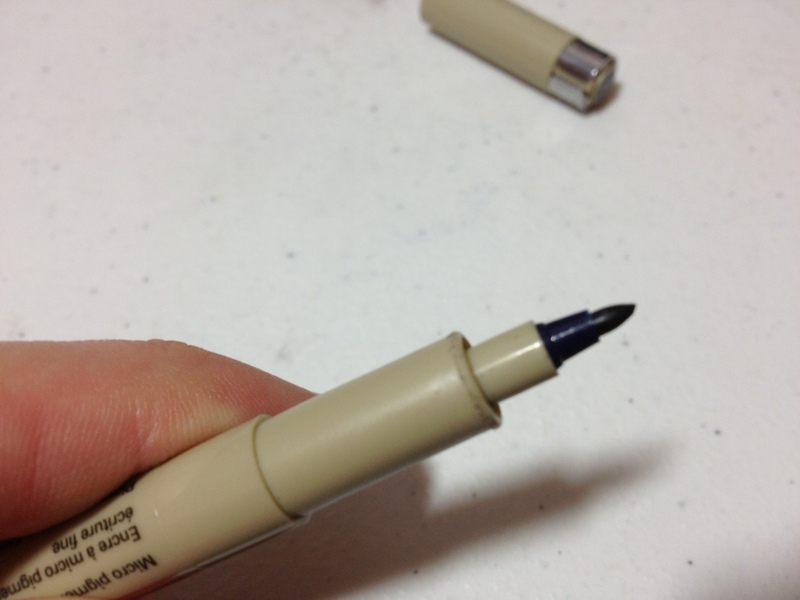 The tip is a nice felt tip. The medium is a fair bit wide, but is almost uncomfortable far from the grip. It writes well but sometimes has so much feedback that it seems to drag on the paper. Its ink is a nice black, though sometimes it can fade to a deep grey. It applies easily and consistently, having very little line variation, which is good if you’re inking something. 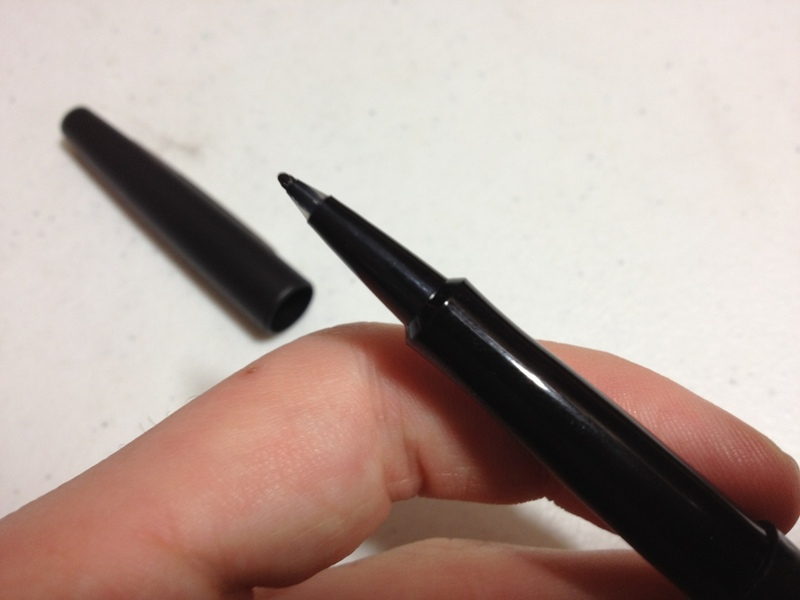 The nib does feel like it can get bent out of shape fairly easily though, so be careful. 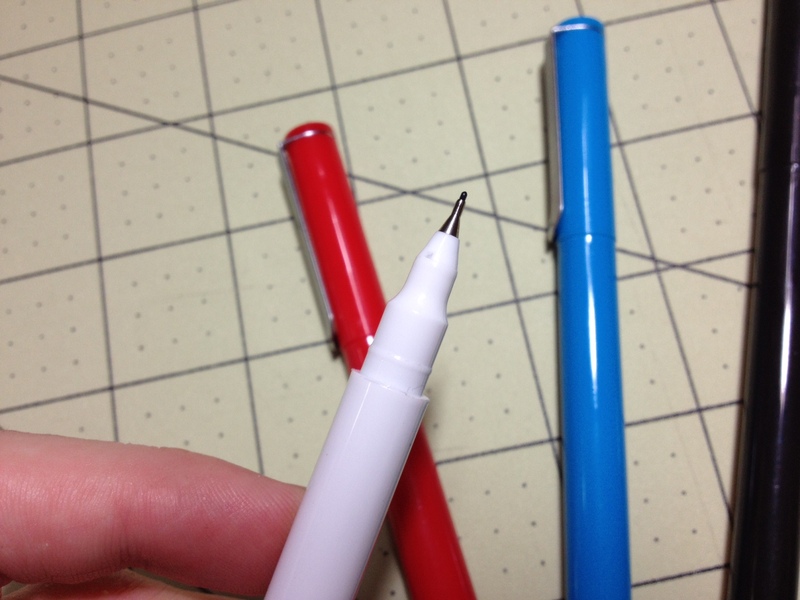 So really, if you want an impromptu inking pen, or something to sketch or make technical drawings with, but don’t have a technical pen, this is a fairly nice replacement. 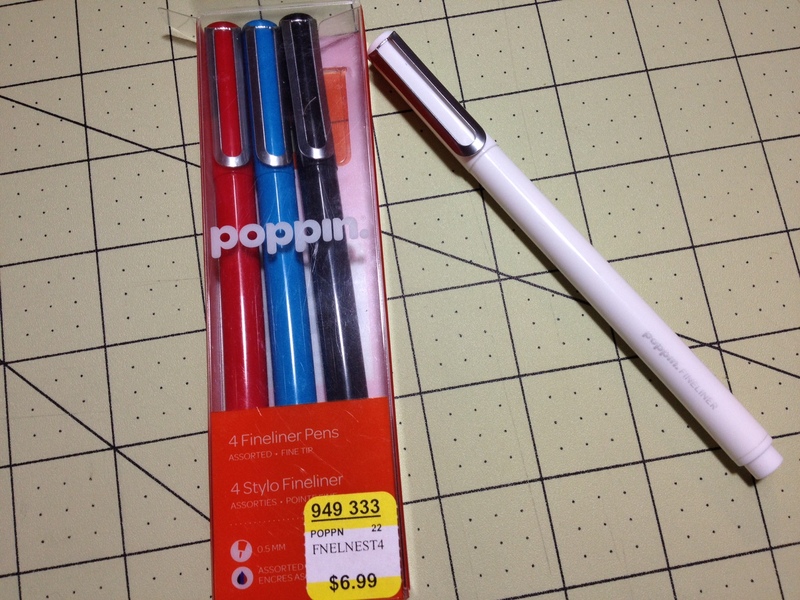 It isn’t as high a quality so it won’t last as long, but it it still a superb writing instrument and a very cheap alternative, even if it doesn’t have all the same quality features.